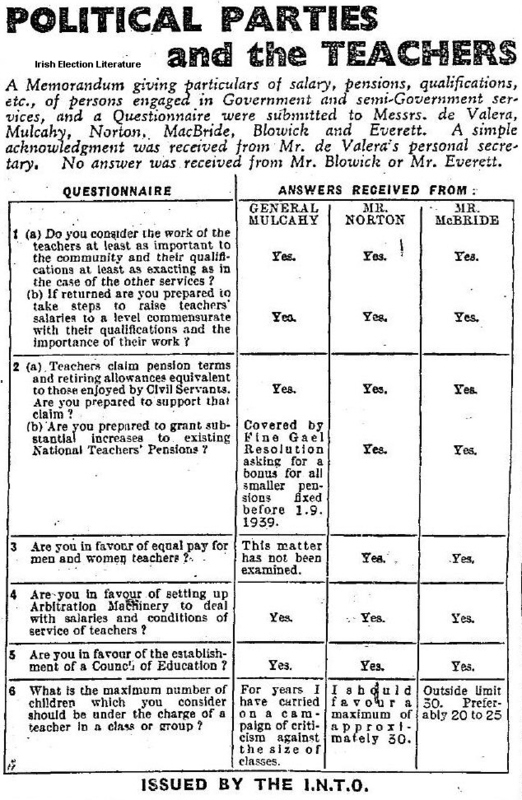 This is great, the results of a questionnaire on teaching issues sent by the INTO to “Messrs deValera, Mulcahy, Norton, McBride, Blowick and Everett” . 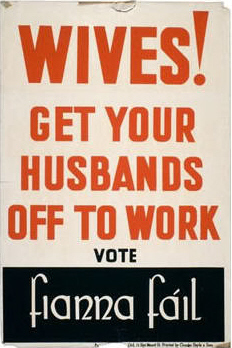 Its from the 1948 General Election and not all replied. You can imagine many of the newspapers today having a field day with some of the questions. I got emailed these by a kind donor, apparently they are from Life Magazine. First off the Posters are all pasted on to the wall in billboard slots, not a poster to be seen on the lamppost! 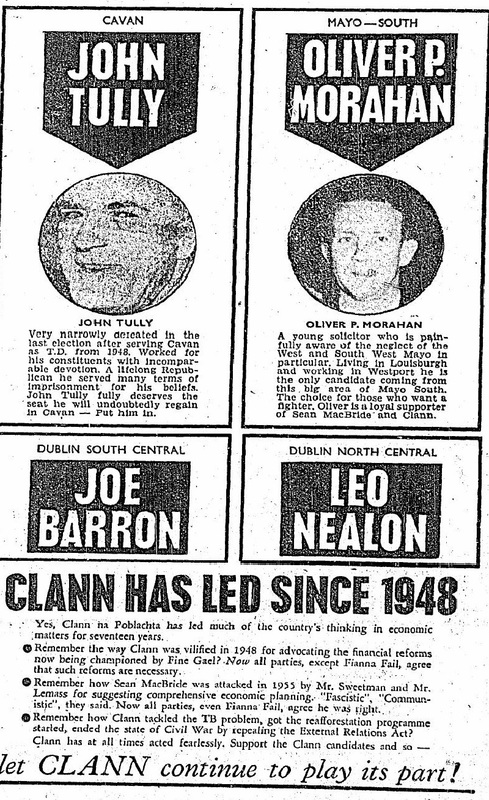 The 1948 election will be remembered for the coming of Clann na Poblachta. Here in Dublin North Central constituency. (Result from Electionsireland.org) they didn’t win a seat. There is also a picture of Fine Gael Leader General Richard Mulcahy Fine Gael leader from 1944 to 1959. 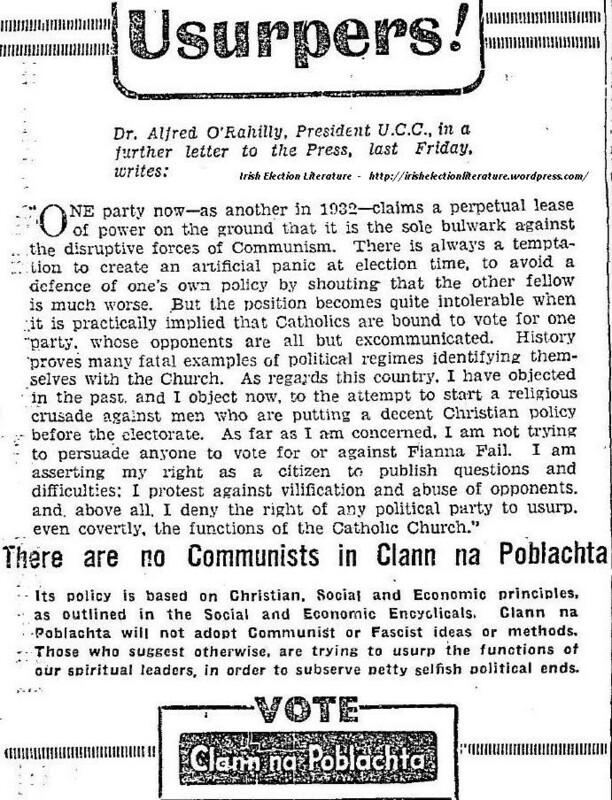 When Fine Gael did come to power in 1948 it was John A. Costello rather than party leader Mulcahy who became Taoiseach. This was due to Mulcahy having been in government during the post Civil War executions. In the 1948 government he held the role of Minister for Education. 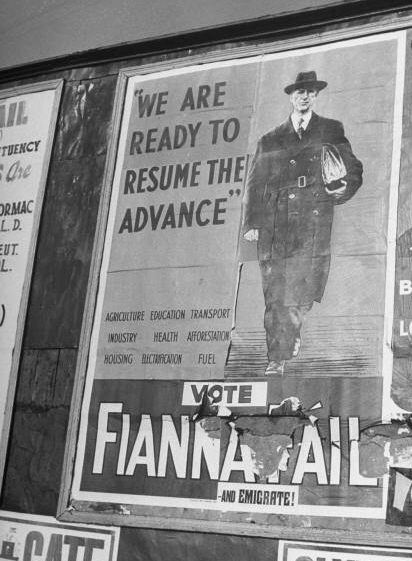 Note how the Fianna Fail poster has been defaced with ‘And Emigrate!’.